← November in 6th class and Science Week! 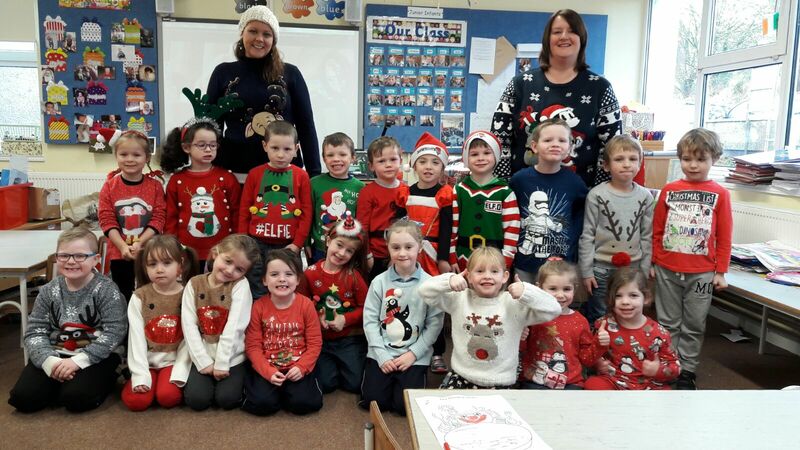 Well done to all who supported our Christmas Jumper Day. We have donated €500 to the Cork Simon Community as a result. 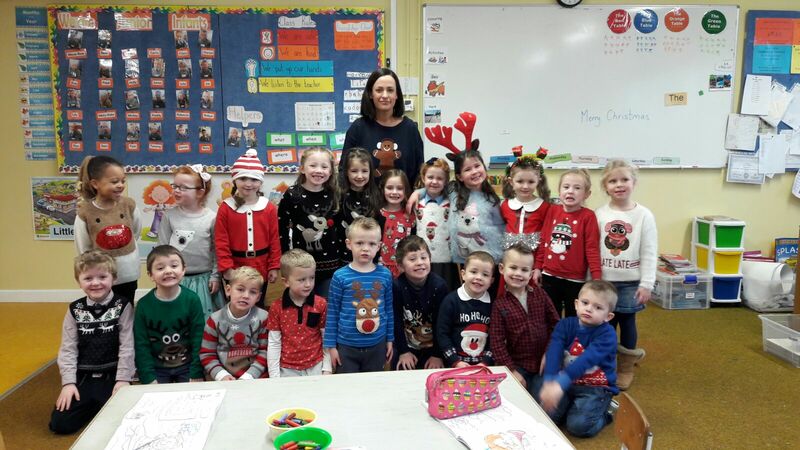 Below you can see our Junior Infants who looked great this morning! You can also see videos of the Christmas performances on our Facebook page. Happy Christmas to all!